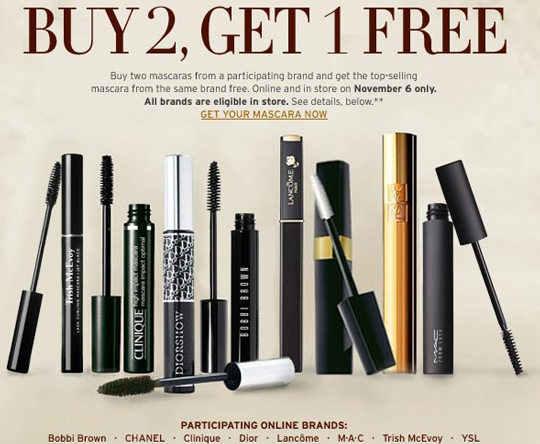 Nordstrom will be having an Awesome Mascara Deal today, November 6 and only today!. Go to any Nordstrom counter/store and buy 2 Highend Mascara and receive one free mascara. Most top-selling brands will be eligible for the promotion. So head down to Nordstrom and make your purchases. With top-selling brand mascaras ranging from $16+ , I definitely need me some high-end mascaras!! !